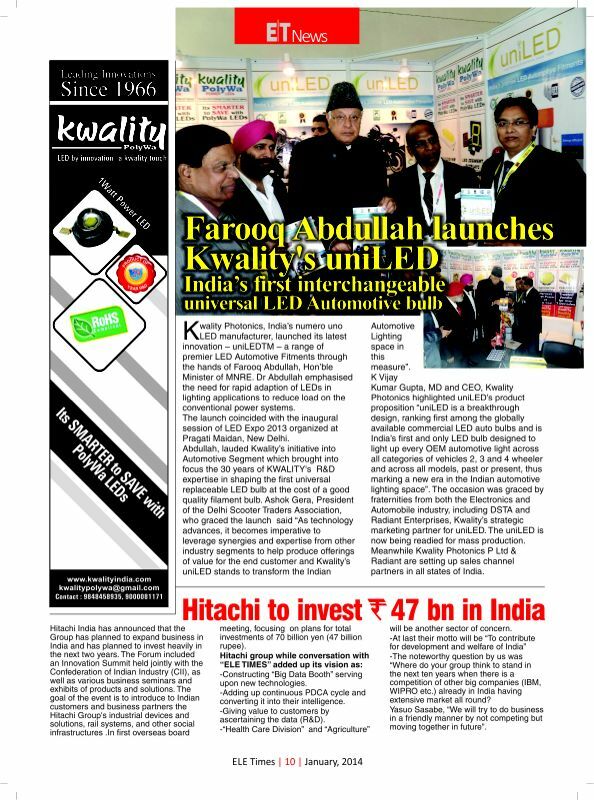 Dr. Farooq Abdullah, Hon’ble Minister of MNRE launches Kwality's uniLED™ – India’s first interchangeable universal LED Automotive bulb at the LED Expo 2013 held at Pragati Maidan, New Delhi. 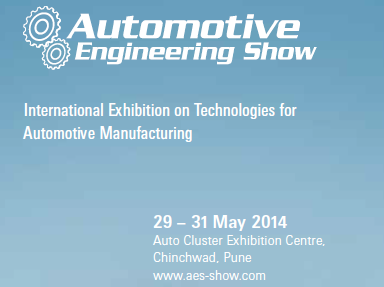 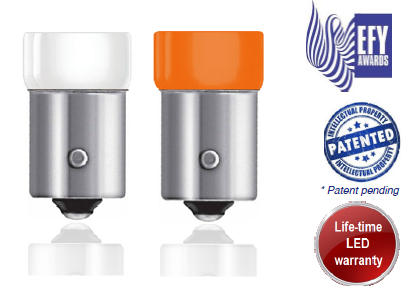 Kwality entered a strategic sales partnership with Radiant for its uniLED™ range of automotive fitments. 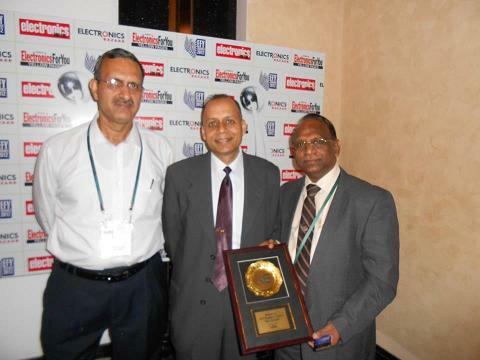 With over 29 years experience in sales and distribution in the automotive industry, Radiant as Kwality's on-field partner for efficient supply and logistics value chain, will enable Kwality in delivering a positive and delightful customer experience in meeting clients’ on-demand needs on time. 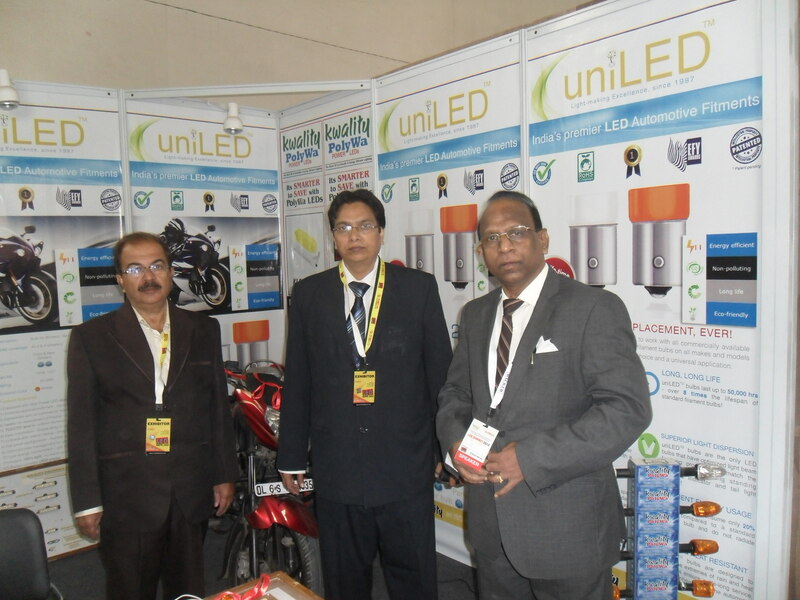 Kwality competed with Osram, Cree, Nichia and Philips Lumileds to emerge victorious as the only Indian LED Enterprise in TOP 5 - a testament to the fact that we are setting benchmarks through our products that are truly international and comparable to the best in the world! 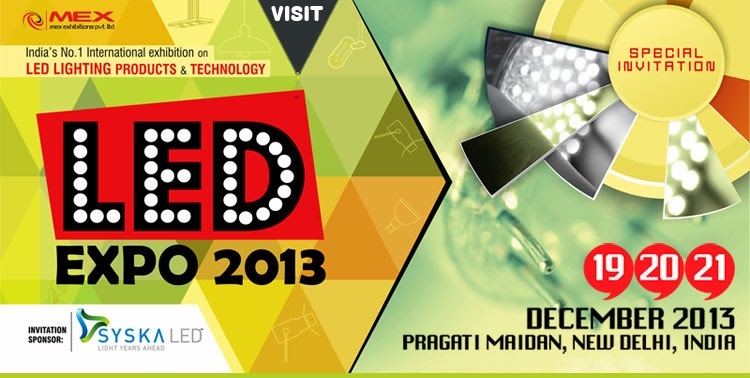 Kwality marks its presence at the LED Expo 2013, India's largest & most successful exhibition on LED lighting products and technology is in its 10th edition this year with the grand event held from 19th -21st December, 2013 at Pragati Maidan, New Delhi, India. 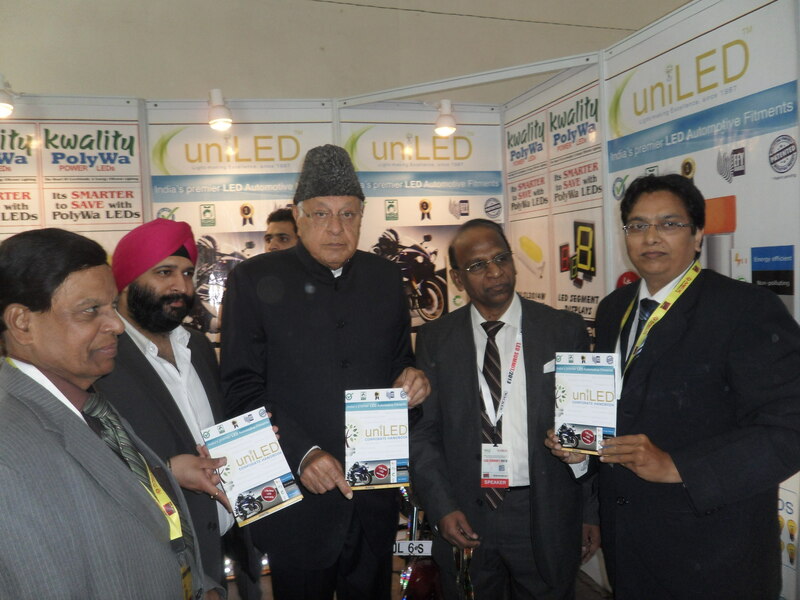 Dr. Farooq Abdullah, Hon’ble Minister of MNRE launches Kwality's Corporate Handbook 2014 at the LED Expo 2013 held at Pragati Maidan, New Delhi.